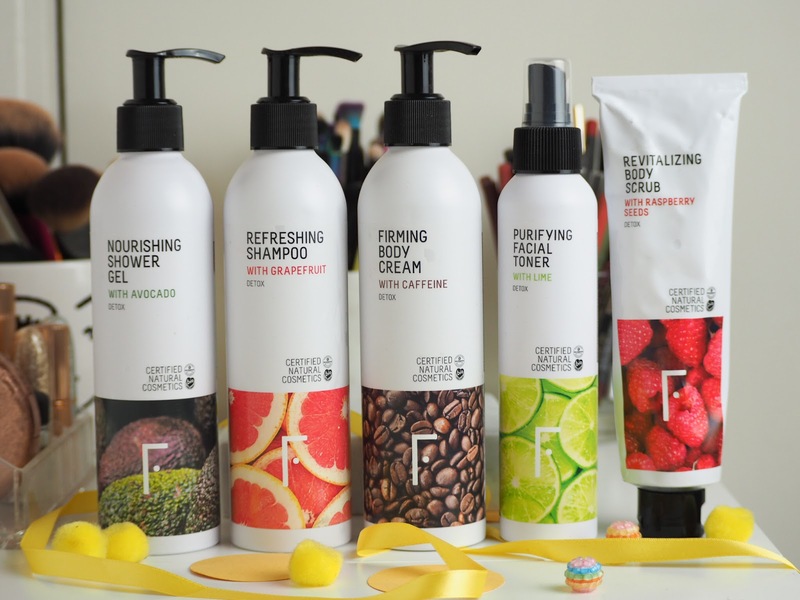 I really love trying out new brands, and Freshly is the latest addition to my round up to try and test. 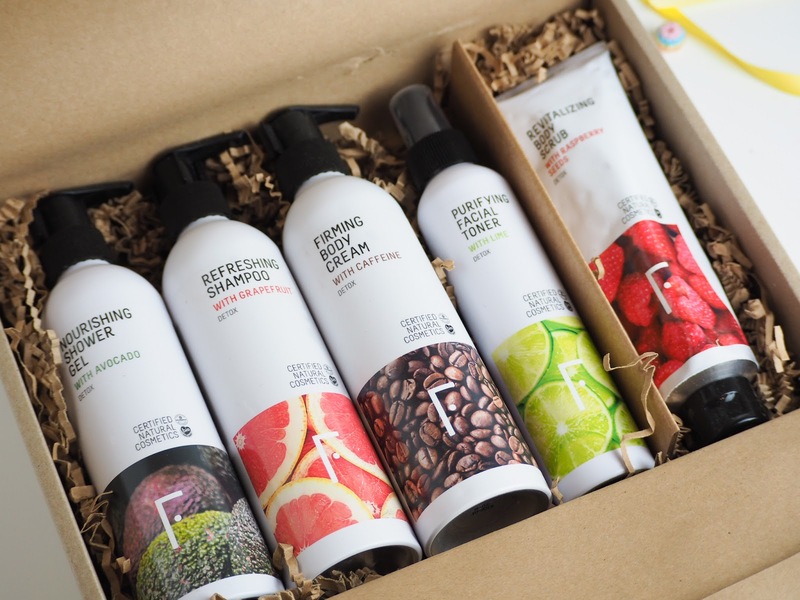 Freshly are a natural, vegan brand which prides themselves on having an entirely toxic free range. They are the all natural approach to skincare and shower products. I have loved trying out their range, and the Skincare Detox Plan gives you a good range to try and test as a newbie. The packaging is sleek, simple and fun to have in your bathroom, and overall just lovely to use. The Nourishing Shower Gel With Avocado I have now finished. The smell is soft and pleasant, the bottle is so easy to use, and the gel itself is pretty much everything you would look for in a shower gel. The Brand describe it as: "The natural shower gel free of silicones and sulphates that will clean your skin softly. The Nourishing Shower Gel will free you from silicones that clog your pores with mild natural surfactants derived from coconut. This healthy formula will restore your skin function through the nourishing and moisturizing action of almond oil and avocado oil." The Refreshing Shampoo With Grapefruit has been used by my son since it arrived. My hair is dyed, bleached, long, thick... it needs a heavy duty shampoo and conditioner which is suitable for dyed hair - so I stick to what I know. But my son has loved using this, and his hair smells so good after use. The brand describe it as: "This silicon and sulphate free natural shampoo will improve your hair’s health. It detoxifies your hair from silicones and sulphates by a smooth and wash based on natural active principles derived from coconut. Includes a concentrate of rooibos tea and buckeye that strengthen capilar follicle and improves blood flow." The Firming Body Cream With Caffeine is without a doubt the best scent for in the morning. Coffee? YES. I use this on my legs typically, especially since the sun is out now. So I am shaving them constantly at the moment, so this is helping them to remain moisturised. I haven't seen any visible difference in firming, but I assume it will take longer than 3-4 weeks (Any maybe me eating less cake). The brand describe it as: "Firms and moisturise your skin with this rapid absorption Detox Firming Body Cream with natural caffeine. This Firming Cream includes a high concentration of the most powerful natural principles to stimulate the combustion of fats and increase the smoothness of the skin, incorporating caffeine, gotu kola and wheat germ oil." The Purifying Facial Toner With Lime is my new shower addition. I like to keep this in the shower for a morning wake up. I spray it into my hands then apply. This has to be one of my favourites from the Detox Set, the scent is really fresh, especially at 7am when you really didn't want to get up. The formula leaves my skin feeling really clean and awake, ready for my morning skincare routine. The brand describe it as: "It refreshes, hydrates, purifies and balances skin’s pH. Get rid of dust particles from the air and from car’s fuel gases. Thanks to the extracts of horsetail, burdock, chamomile and lime, this product will remove the impurities accumulated in your skin and stimulate the production of collagen and elastin." The Revitalising Body Scrub with Raspberry Seeds is definitely not the scrubbiest scrub on earth, but it remains pleasant to use and hydrating. I wouldn't reach for this to remove tan or to use as an abrasive scrub, but as a daily body exfoliant it is really nice. The formula is creamy and smooth, so as well as improving skin texture it maintains the moisture and helps to soften too. The brand describe it as: "Exfoliate and hydrate your skin with the best natural biodegradable particles. The Revitalising Body Scrub improves cell renewal and skin texture with the combined action of bamboo powder and raspberry seeds. It incorporates a high moisturizing power thanks to the concentration of high quality vegetable oils such as jojoba oil, avocado oil and almond oil." Overall, I have really enjoyed trying out Freshly Cosmetics, their products are beautifully packaged and really lovely to use. They would also be my go-to for my vegan friends. I know they would really appreciate a more natural approach to skincare, and this would make a fantastic gift.